The Navy SEAL Foundation is fortunate to have some of the most exceptional volunteers in the country. These selfless friends of the Foundation come in all ages and from all walks of life. They run the gamut–from former SEALs to students, to doctors and nurses, to highly influential members of the business community. Volunteer support is critical to the mission of the Foundation, and we are a stronger and more effective organization because of the time and effort our determined volunteers contribute. To say Stephen J. Czech is a busy man is a bit of an understatement. 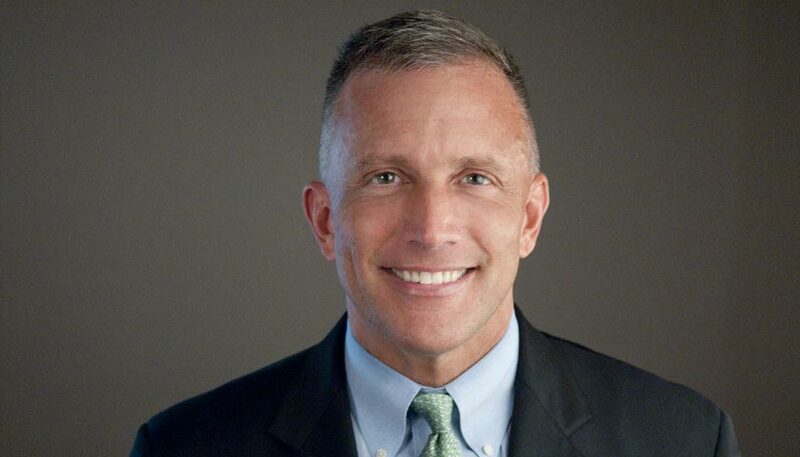 He is the managing partner of Czech Asset Management, L.P., a dedicated husband and father, a tireless advocate for terminally-ill children, and most recently, a Navy SEAL Foundation volunteer mentor and a member of the distinguished National Leadership Council for the Foundation. We recently sat down with Steve to learn more about the ‘how’ and ‘why’ he got involved with the Navy SEAL Foundation. NSF: Hi Steve! Thank you so much for your time today. We would love it if you shared how you came to be involved with the Navy SEAL Foundation. Steve: I first became aware of the Navy SEALs on August 2, 1990, at the beginning of my business career and the outset of the first Gulf War. I had read about the SEALs over the years, and I told myself that, someday, I hoped to be able to support them financially. I am now at a point in my career where I can support current and former SEALs and their families both financially and in an advocacy position. This past May, I reached out to Robin King, CEO of the Navy SEAL Foundation, and offered my financial support, connections, and time to serve as an advocate. 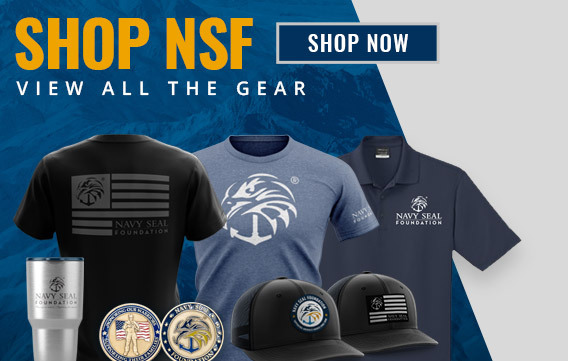 NSF: Could you tell us why you chose to get involved with the Navy SEAL Foundation in particular? Steve: Absolutely! There are three reasons. First, SEALs create order out of chaos. I have spent my entire personal and professional life doing the same – trying to create order out of chaos – and as such, I wanted to support others who do the same for the benefit of the greater good. Second, my business career has taken me to over 45 countries since 1990, and what strikes me when I get home from every overseas trip is the extent to which most Americans take for granted how safe and secure we are within our borders. Not only that but how that safety and security enables this country to maintain its stature as the greatest country in the world. Navy SEALs are the “tip-of-the-spear” as it relates to providing that security, yet they take no credit for their actions. I want to raise awareness to highlight the service and sacrifices made by SEALs and their families. I want to ensure they have the financial and other resources necessary to do their job and transition into civilian life once they are ready. Third, our special forces are being used more frequently and in more aggressive ways than ever before. I believe that they and their families are going to require new types of support and services while on active duty as well as when they transition into civilian life. In addition to financial support, my wife and I have offered to use our contacts in business, health care, education and government to help these warriors and their families get the access to support services that they need and deserve. NSF: Steve, this past summer you chose to spend several weeks mentoring campers at the Foundation’s specialized summer camp for Naval Special Warfare (NSW) teens—Camp Legacy. Could you share why you picked this program? Steve: When Robin King and Alison Messick, the Foundation’s Director of Programs, told me about Camp Legacy and its objectives, I offered to address the campers. I felt a kinship to these teens given the similarities between them and my experiences as a teenager. I thought they could benefit from some time-tested and proven advice about how best to lead and succeed, regardless of where you start in life or the hand you are dealt. NSF: Could you explain a bit about this? Steve: I am the eldest of five children (one of my siblings died when I was five-years-old), and I grew up in a lower-middle-class, highly dysfunctional family. My dad traveled extensively for business and missed a great deal of my games and after-school events. My mom was chronically ill, and we moved numerous times during both grade school and high school as my dad climbed the corporate ladder to provide us with a better life. As a result, it was up to me – at a very young age – to take care of my three siblings and the house during grade school and high school. By contrast, my friends and neighbors had very functional families; their parents were always home for dinner, their games, and their after-school events. They were all wealthier than my family, and they let us know it every opportunity they had. Life for me as I grew up was difficult, and I did not sign up for it, but I had to adapt and create order out of chaos. Camp Legacy campers have similar backgrounds. Their fathers are often away for extended periods of time, and more likely than not, incommunicado. Their fathers miss a lot of their children’s lives, like games and after-school events. These kids move numerous times during both grade school and high school as their dads switch SEAL teams and advance in the Navy. Their fathers work hard to provide America with the safety and security that serves as the bedrock of our success, and they do their best to provide a good life for their families. While SEALs are deployed, it is up to those left at home – the wives and the kids – to take care of each other and the home. They do this under the constant pressure of never knowing if they will ever see their husband/dad again. Life for these NSW kids can be really difficult, and these kids did not sign up for it, but they have to adapt and create order out of what has the potential to be true chaos. NSF: Would you share the advice that you gave the campers about success and leadership? Understand that everything you do and how you do it matters. Do what you want to do in life, not what you think others want you to do. Never stop learning and never give less than 150% in everything you do. It is OK to try and fail. It is not OK to not try. Texting and email are not substitutes for personal interaction. Don’t be an island – have a broad group of friends inside and outside of work. Expect nothing! Earn it! All you’re entitled to are life, liberty and the pursuit of happiness. Incentives matter! Show me how someone is rewarded, and I’ll show you how they will behave. What matters in life is not what you have, but what you do with what you have. I also encouraged the campers to reach out if they need help. People, at their core, want to help others. In that vein, one of the campers reached out to me for guidance about pursuing a law degree. I connected him with a friend of mine, a top Wall Street lawyer, who walked him through the courses he should take in college if he is interested in pursuing a law degree. He also volunteered to speak with the camper every three months going forward to track his progress. Sometimes a little guidance is all that a person needs. NSF: Wow, that is a great list! We also heard that you challenged each camper to be a leader in his or her community. Could you tell us about this “Call to Action”? Steve: I challenged each camper to donate five hours of his/her time to help someone in need within the first 21 days from the time they returned home from Camp Legacy. I wanted them to witness the impact their generosity has on the recipient and also experience the satisfaction of doing something good for others by using nothing other than their time. I asked each camper to email me a description of what they did, and I rewarded those who did with $100! I was truly moved by many of the emails and acts of kindness. I’m highly confident that these acts of kindness, which were prompted by this exercise, will continue as these campers grow older. NSF: What value, in your opinion, does Camp Legacy have for the NSW teens who attend? Steve: The first is teaching these campers the concept of teamwork. The second, and it is equally important, is the value in allowing these kids to be together with people from similar backgrounds and similar experiences. One of life’s most difficult challenges is going through adversity and thinking that you are alone. There is a real strength in numbers and creating connections with peers who have similar interests and issues that can be the difference between surviving and thriving. We want these kids to thrive. Finally, this camp teaches the campers the value of being able to adapt to whatever life throws your way. No matter how good you are at any one thing, if you’re not able to adapt to new situations, you will not succeed, and you certainly won’t be able to lead. NSF: Is there anything would like to share with the Camp Legacy campers or those who may be reading today? Steve: First of all I’d like to say to the campers, THANK YOU! I’m grateful to you, your parents, and your families for your service and sacrifice. People like me could not do what I do without the service and sacrifice of you and your families. Second, as I said earlier, what matters in life is not WHAT you have, but what you DO with what you have. If you’re willing to use your head, heart, and hustle, you can accomplish anything – no matter where you start in life or the hand you were dealt. Finally, I want to share just how much the world appreciates what the NSW community and their families do for the rest of us. This past June I was at Wimbledon in London with my wife and daughter. It was a cool day, and I happened to be wearing a U.S. Navy SEAL fleece pullover I received during my time at Camp Legacy. Throughout the morning, people walking towards me on the Wimbledon grounds gave me the “thumbs-up” sign. Some would smile, and others extended a fist-bump on occasion. Prior to leaving the Wimbledon grounds, an elderly English gentleman stopped me and asked, “Are you a Navy SEAL?” I replied, “No, I’m not, but I am a big supporter of the SEALs and their families.” He smiled and replied, “The SEALs represent EVERYTHING (his emphasis) that is great about America and why America is the greatest nation that ever was, is or ever will be!” I couldn’t have said it better myself. We owe these warriors and their families a debt of gratitude. I challenge you all to join me in supporting them.